Psoriasis is a long-term (chronic) skin condition /disease that causes skin cells to grow too quickly, resulting in thick, white, silvery, or red scaly patches of skin that can be sore or itchy. Normally, skin cells grow gradually and flake off about every 4 weeks. New skin cells grow to replace the outer layers of the skin as they shed. But in Psoriasis, new skin cells move rapidly to the surface of the skin in days rather than weeks. This forms thick patches that range in size from small to large. They most often appear on the knees, elbows, scalp, hands, feet, or lower back. 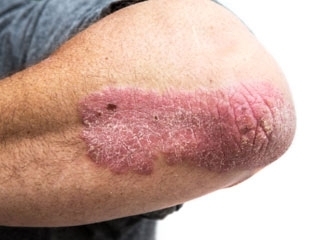 Affecting 2-3% of the population Psoriasis often begins in for sufferers in the late teens or early adulthood and can sometimes re-emerge in a person’s 50s. What can cause Psoriasis flair up? Psoriasis is not contagious and there is currently no ‘cure’, however there are both natural and non-natural treatments available to manage symptoms. 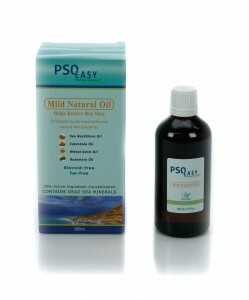 For Psoriasis on the body, we suggest using PsoEasy Hypo-Allergenic Soap Bar, Psoeasy Mild Natural Oil and PsoEasy Active Cream. 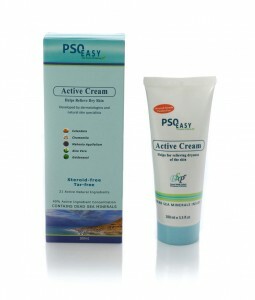 These three products work very well to treat Psoriasis of the body. 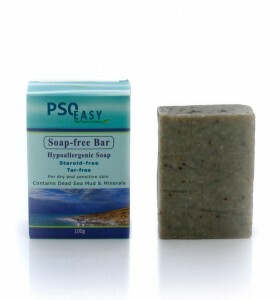 PsoEasy Hypo-Allergenic Soap Bar is a unique combination of powerful active plant extracts, algae and Dead Sea Silt and is distinguished by its ability to penetrate skin pores, cleanse and purify skin thoroughly. PsoEasy Soap Bar is designed to relieve, alleviate and prevent numerous skin conditions caused by climate and environmental factors. The soap contains a moist layer for renewing skin cells and restoring the skin’s external appearance. The reason for its appearance is due to the 21-day sun-drying process. In addition to day-by-day hydration of your skin with a cream, we recommend to use a humidifier to keep the air from your home or office moist. This technique will keep your skin supple, nourished and hydrated enough as well as make psoriasis plates disappear faster. Be careful when using perfumes. Most soaps and perfumes contain dyes or other chemicals that can irritate and aggravate your skin. Dermatologists recommend that patients should avoid using this type of products or choose products specifically designed for sensitive skin. A healthy diet can play a very important role in the management of psoriasis all over body. Removing red meat and high-fat food from your diet can reduce the flare-ups of the disease and whole body psoriasis risk since in some cases these foods are considered psoriasis triggers. Cold water fish, seeds, nuts and omega-3 fatty acids are widely known for their ability to reduce inflammation and psoriasis on body. Any chronic illness like psoriasis can be a source of stress. Know that stress itself can aggravate the symptoms of psoriasis and quite often it turns into a vicious circle. A great number of studies on psoriasis show that stress reduction practices allow patients to prolong periods of remission. Alcohol consumption is considered to be one of the main triggers of psoriasis, mainly psoriasis on body. According to the studies conducted, people who consume alcohol are twice as likely to develop psoriasis compared to people who do not drink. Similarly, smoking may increase the risk of psoriasis onset. If you already have psoriasis, smoking can make your symptoms more severe.